A gentle class for all levels. The Perfect Start to your morning. 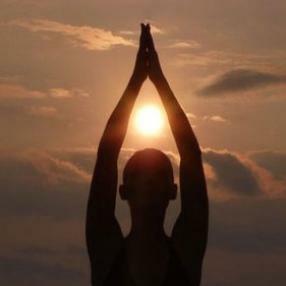 Begin your day with alignment-based asana, breathwork, relaxation and meditation. Some classes incorporate vinyasa flow–sequencing breath and movement. Express yourself. All bodies welcome! High intensity yoga with focus on fundamental alignments promoting great success and experience with all poses. Hot Vinyasa FlowRyan Tibbs @ Grimsby Yoga and Wellness Studio Inc.
As you flow in and out of breath your body flows through the movements of the poses. This is a fairly intense class as the room is heated to 100 degrees Fahrenheit using infrared heaters. This allows for a deeper stimulation of the internal organs, and greater flexibility of the muscles. 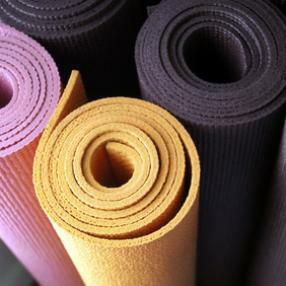 It is recommended that you have some yoga experience prior to trying a hot class. Grimsby Yoga and Wellness Studio Inc.
A gentle yoga for you and your little one. 8 weeks to 12 mos. Prepare to stretch, sweat, and build strength is this fusion class! Blending yoga, strength training, calisthenics, and endurance exercises, this class will challenge you and help you build foundational movement and strength to take your yoga practice to the next level. We focus on equally using all the major muscle groups in order to balance the whole body and create usable, lean muscles. This class is accessible to all levels ~ tap into your Power! This 60-minute gentle yoga class features many floor-based poses and stretches and a few standing poses for strength and balance. 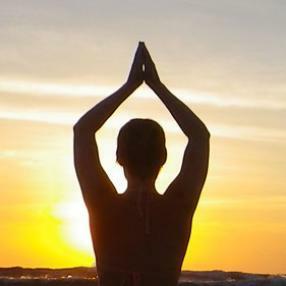 Enjoy simple breath work and basic yoga postures to gently strengthen and lengthen your muscles. This class is appropriate for those who have never practiced yoga or for those who have but are looking for a less demanding class. If you have injuries or other conditions that require a modified practice, this class may be a valuable asset to your well-being. Please inform the instructor of your injury/condition prior to class. Get your blood flowing and your core singing in this intelligently sequenced, modern Pilates class. Connect to your body’s roots and get a full body workout with attention to form. A focus on breath, control, and precision in movement, as well as, fluidity in movement and balance to give you a full body experience that leaves you feeling strong and energized. This class is for new moms to share quality time with their babies and other moms through an energizing yoga practice. The class will be around 60 minutes (depending on the babies' temperament!) with some time after for relaxing and chatting. Moms will enjoy a vinyasa/ flow yoga practice and learn how to include baby in her practice. The class will mainly consist of poses for mom, incorporating and partnering with baby where possible, and with baby yoga postures throughout. Poses will help mom refocus, regain strength and flexibility and soothe muscles from nursing and holding baby. During the class, moms may stop to feed or soothe baby and rejoin the practice when it is possible and comfortable to do so. A class that combines elements of bootcamp fitness and yoga. 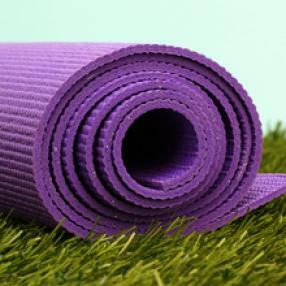 Yin Yoga is a slower paced style of yoga where poses are held from 3 to 5 minutes. The long held poses target a deep release in the connective tissues and fascia (rather than the muscles that are targeted in a more active practice). While Yin is a more passive practice, it can be challenging due to the length of time a posture is held. The long held postures encourage a focus on mindfulness meditation by using the body to stay present. Yin is suitable for all levels and is adaptable to all body types through use of props. It is a perfect complement to more active styles of exercise as it encourages the slow and safe opening of connective tissues, leaving the yogi with an overall feeling of lightness, spaciousness and peace. A flowing style of yoga characterized by sequences of poses linked together by the breath, where the breath orchestrates the movement between each posture. Vinyasa means moment to moment awareness, and our Vinyasa Flow classes integrate alignment, strength, and fluidity with meditation and action. This is an active class of challenging poses, made accessible with modifications provided by the teacher. Thoughtful refinements and hands-on adjustments will help you through this vigorous practice in a way that is safe and mindful. By connecting your movement with your breath, you'll get a satisfying workout that at the same time calms your body and mind. Feel your hectic day melt away as you relax into restful poses at the end of class, and enjoy a gentle massage. Sink into that well-earned savasana and then float home! Please join me in a six week Introduction to Mindfulness Practice program starting on October 30, 2015. Shake off all the stresses you have gathered from work and daily living by starting your weekend on a right note. If you are looking for inclusive and safe space to learn and practice mindfulness skills, join us in a good company with good home-made food and drinks. All are welcomed to this all levels class which will includes work shopping specific poses through hands on assists and seeing how they look in a sequence. 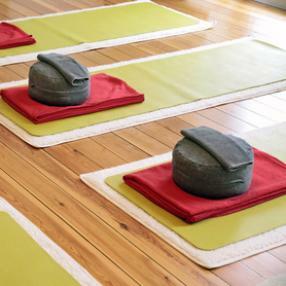 This class is appropriate for all students seeking the benefits of a very relaxing, gentle and restorative practice. Deep restorative work improves range of motion and joint mobility, reduces pain and the effects of stress. Students with injuries, arthritis or other chronic conditions, limitations related to age or size as well as students with a more vigorous yoga practice will benefit from this practice. No prior yoga experience required. The Power Vinyasa Yoga class is designed to enhance your athletic and rock climbing performance through increasing your core strength, your body's flexibility, your sense of balance, and cultivate a stronger connection between your mind and your body. The class will offer a variety of vinyasa sequences each week. Each class will be unique onto itself, no repetition. This is an all levels class where modifications will be offered to accommodate any injuries or physical restrictions that you might have. A lot of fun in a safe, supportive environment. We workshop, we flow, we chatter, a great way to start your weekend. About once a month we go out for a drink.